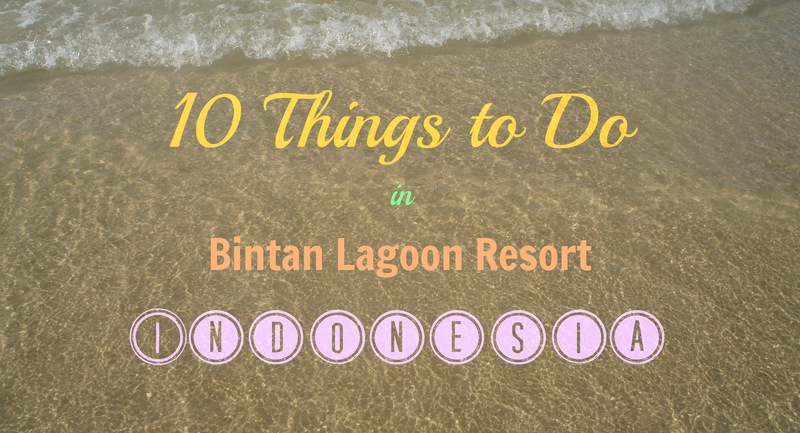 If you're visiting Bintan, Indonesia any time soon and planning to stay at Bintan Lagoon Resort then the following 'Things to Do' list I've enumerated below can give you insights on your typical day at the resort. 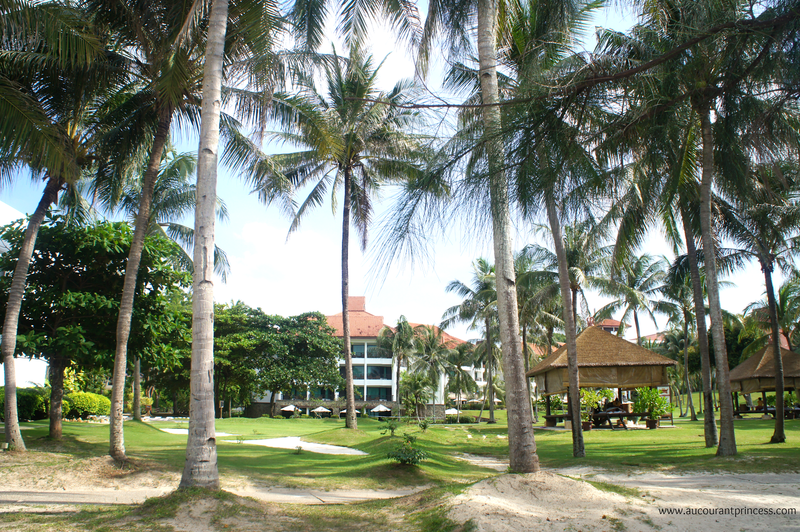 Here's a list of things to do during your stay at Bintan Lagoon Resort. 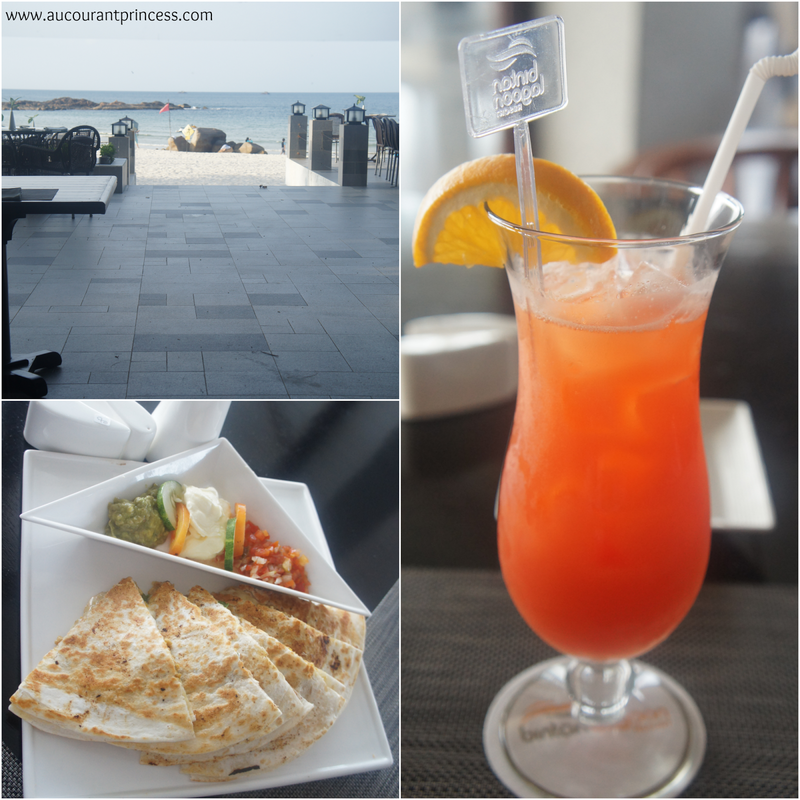 Bintan Lagoon Resort has 12 restaurants to choose from. They offer a variety of Indonesian, Japanese, Italian and Mediterranean cuisine among others. We have only tried 4 out of the 12 restaurants they had at the resort. Not bad for a 2 days 1 night stay. We've checked out the Rice Restaurant at the beachfront. We had chicken quesadilla and mocktails for snacks. This costs us $35.09 SGD. 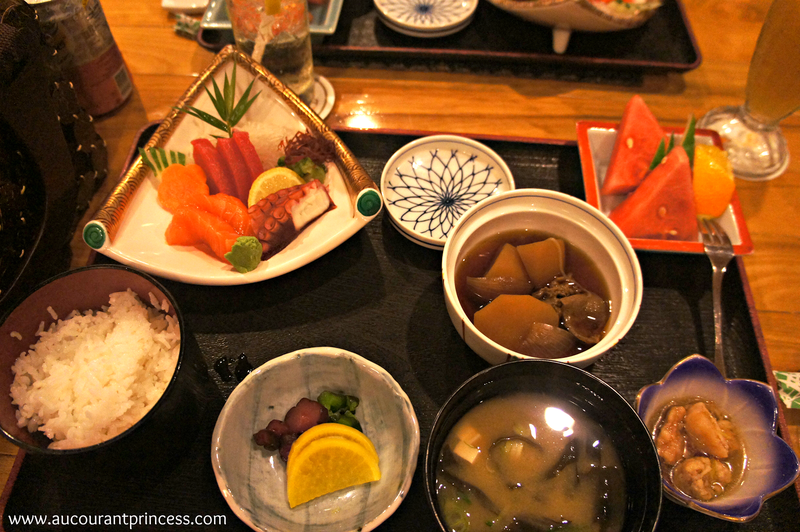 For dinner we went for Japanese cuisine at Miyako Japanese restaurant which, by the way, I find very expensive. We'll it's a given especially when you're staying at a resort. We paid $85.91 SGD for 2 persons. During the evening we went to the Terrace Lounge which is located at the lobby. The Terrace Lounge is kind of a bar where you can have some snacks, drinks and wine. If you're a smoker then you'd be happy to know that the Terrace Lounge offers a broad selection of cigars. My husband went for mocktails (which is offered at almost all of their restaurants at the resort) and I went for light alcoholic drinks. The drinks at the Terrace cost us $22.99 SGD. Breakfast is buffet style. It's already part of the resort stay. Food at this resort is pretty expensive, don't you think? You can opt to bring some snacks back from Singapore to cut costs or if you're staying at a villa you can bring ingredients to cook or barbecue. Bintan Lagoon Resort has a wide variety of water sport activities. What I love about night swimming is that there are no harsh sun rays stinging your skin. For individuals like me who's still not confident with my swimming skills this is an avenue for me to polish it. By the way, the resort has a poolside bar too. They sell coconut juice for $6 SGD with coconut meat. Taman Sari Royal Heritage Spa at Bintan Lagoon Resort is located at the 2nd level of Leisure Center opposite the Karaoke Lounge. Foot massage is available at the hotel's lobby and there's also a massage hut near the beach front. A holiday won't be complete without a good massage. Bintan Lagoon Resort has 2 notable golf courses: The Jack Nicklaus Sea View Golf course and Ian Baker-Finch Woodlands Golf course. If you wish to learn or improve your golfing skills or even practice for an upcoming event then this place is for you. 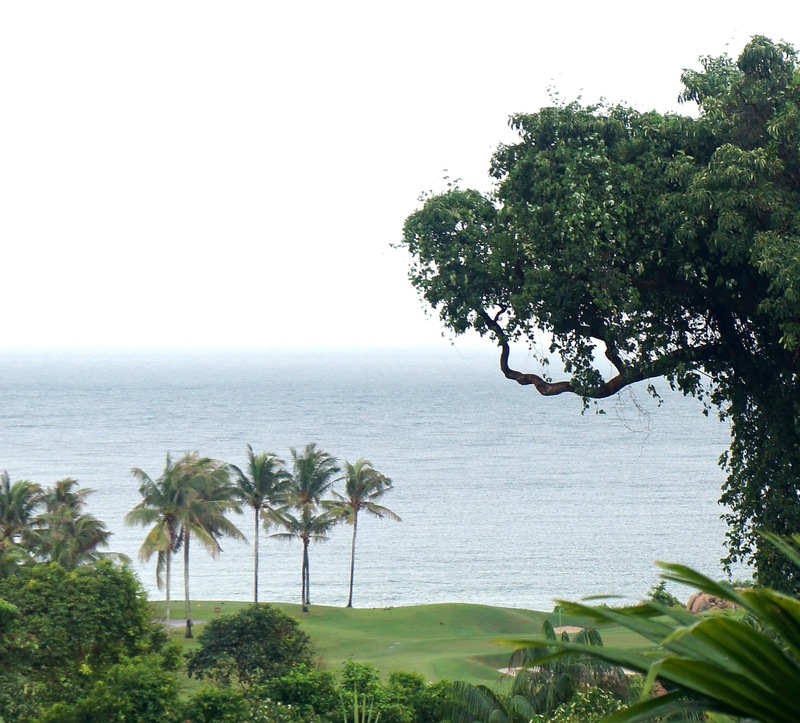 The resort also offers a golf school and coaching classes all year round. The activities offered at the Bintan Lagoon Resort's Leisure Center ranges from billiards, karaoke, bike rental, paint ball, archery, tennis, volleyball among others. Ah! The gentle sea breeze swiftly kissing through my face. The sound of the waves sweetly singing to my ears. This is life! Bintan Lagoon Resort has a golden sand beach (will look like white sands under the bright light of the sun) that that nearly stretches to 1.5 kilometers. That's a lot of sand, don't you think? How many sand castles do you think you can build from it? The place is humongous. Bintan Lagoon Resort boasts of 2 notable golf courses, 310 hectares of beachfront gardens overlooking the South China Sea. Not to mention the 475 deluxe rooms, suites and villas available at the Bintan Lagoon Resort to cater to couples, families and groups. If you love to walk then you'd probably love to scour the vast resort grounds. However, you can also opt to rent a buggy especially if you're staying in a villa. If you want more food varieties and shopping choices you can also visit Pasar Oleh Oleh. Like, Bintan Lagoon Resort they also accept SGD (Singapore Dollars) so there's no need for you to change your money to IDR (Indonesian Rupiah). I never got the change to visit the place because our time was limited. Take note that the shuttle services to the area is not for free. The resort will charge you $6 dollars for a two-way ticket from Bintan Lagoon Resort to Pasar Oleh Oleh and vice versa. There you go! These are only some of the things you can do at Bintan Lagoon Resort. I'm sure there's still lots of fun activities to do at the resort. I hope you enjoy your stay there. Have a great day ahead! The Asian food was expensive, but you should expect to pay more when you are a tourist, right? New Twitter and Facebook follower. Kisses doll! Nice post hun. It looks like a beautiful destination.